Gili Islands off the coast of Lombok are getting more and more famous as a holiday: but usually only Gili Trawangan, Gili Meno, and Gili Air. Sadly, many people don’t visit, or even know about the Secret Islands, located in the area of Sekotong. The Sekotong area comprises two gorgeous sandy bays at Sekotong and the nearby village of Taun. They are dreamy small islands fringed by pristine reefs and abundant soft white sand. You can snorkelling amongst the colourful coral and you will enjoy amazing underwater life. There are two groups of islands worth to explore. TIP!!! 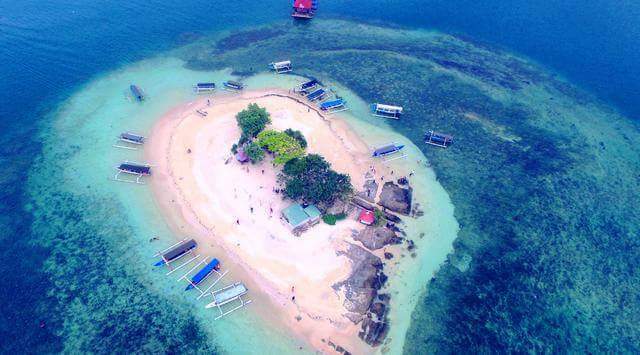 : Locals will also tell you that some of the best snorkeling in Lombok is found off the coast of Gili Layar, so if you enjoy underwater scenery then this is a great place to find it. All the islands can be reached by private local boats from Sekotong harbour. From Ola Ola we organize the Snorkel day trip. We provide transport, boat and gear&fins. We absolutely recommend you this experience. This is a must see from Lombok. The price is 1.200.000 idr per two persons.